Bedrooms: 1, bathrooms: 1, sleeps 2. Super villa. Excellent care from the on site managers. Great apartment in a super location. 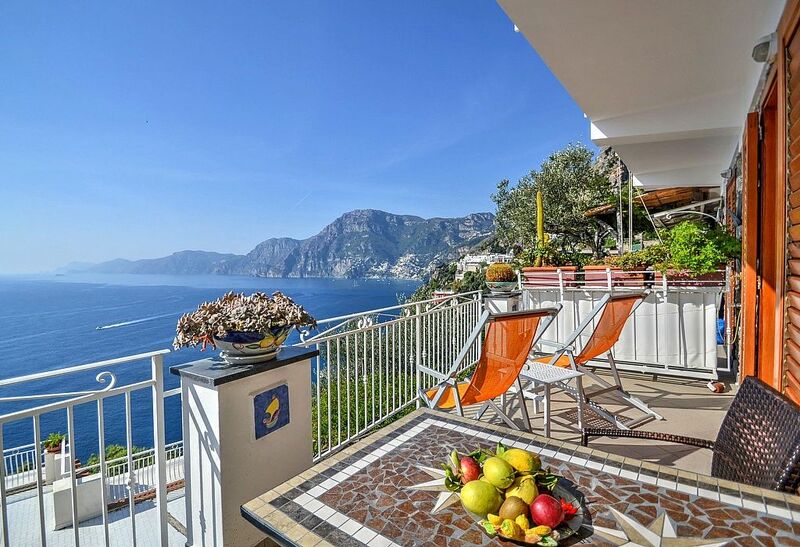 Well appointed apartment with a great balcony view in the charming town of Praiano. Spotlessly clean and comfortable. Made to feel very welcome by the neighbours and locals. I was a little nervous at first since I never used an personal rental. The place was amazing - I am very picky and I have to say if felt like home. The view - OMG! Every morning waking up to this was spectacular! The host even had a buzzard in the room if you needed anything, she lived above and sent a basket down on a rope to our deck, you see there, with wonderful home made Italian breakfast rolls. WE enjoyed the with some great espresso coffee we purchased down at the local market. Everyone knew everybody in the town. What an enjoyable experience for a vacation and the most relaxing. Just a bus ride to Positano and Serrento which only cost fro $.140 to $3.50 per person one way. I will return -- thank you for the wonderful experience. P.S. It did rain and still did not matter because it was so beautiful! Wonderful holiday. Villa Gisella B is in perfect location to visit not only the Amalfi Coast but also Pompeii, Paestum and other interesting places in the area. The house is really well maintained, nothing missed. The view is amazing! Highly recommended!! Adriana, the owner, cuddled us with her nice touches and pleasantness. We felt like home. This is a wonderful flat for a holiday with jaw dropping views from a well appointed, spotless and comfortable flat. Adriana, the owner and her family provided fresh oranges and lemons from their trees, and special treat, a luscious lemon cake lowered in a basket from their terrace above. Such lovely people and such a beautiful spot - we hated to leave. This is the best possible flat for a Praiano holiday. Beautiful views, very well appointed kitchen, and the loveliest owners. We couldn't have had a better stay. The rental price includes: final cleaning; electricity; heating; linens; towels; parking; Wi-Fi Internet connection.Available upon request: baby bed.